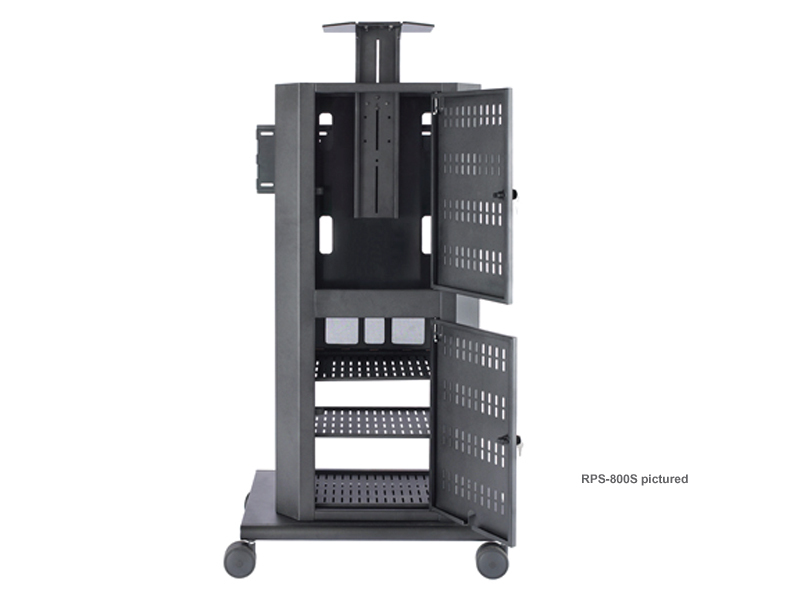 More on the AVTEQ Executive Series Dual Screen Media Cart for Two 32-55 inch Screens RPS-800L below. 9 RU of standard 19" rack racils. 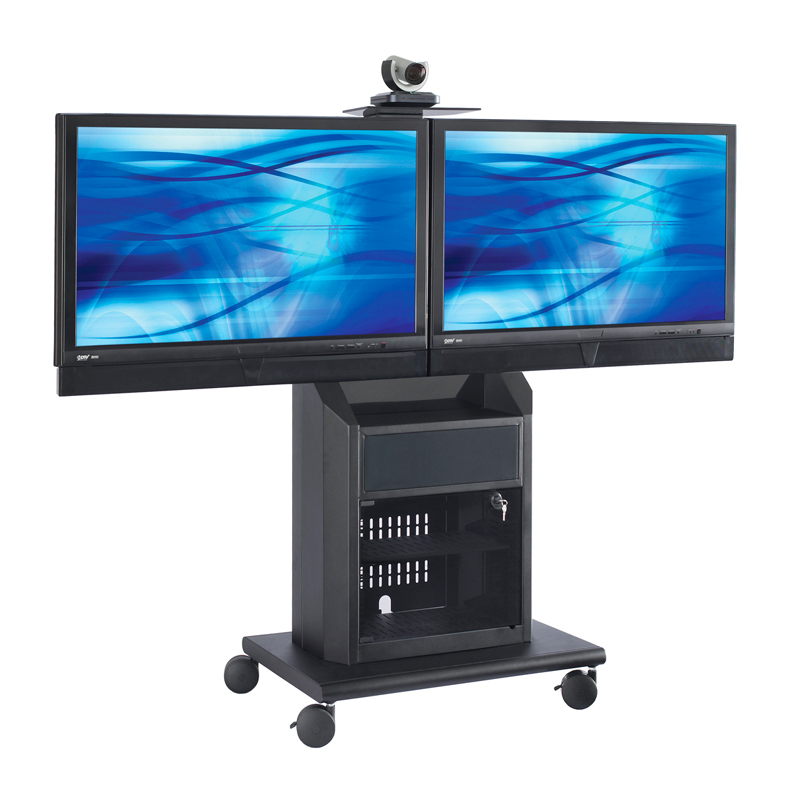 One integrated, adjustable video-confering camera platform. Two 32-55" flat panel screens.